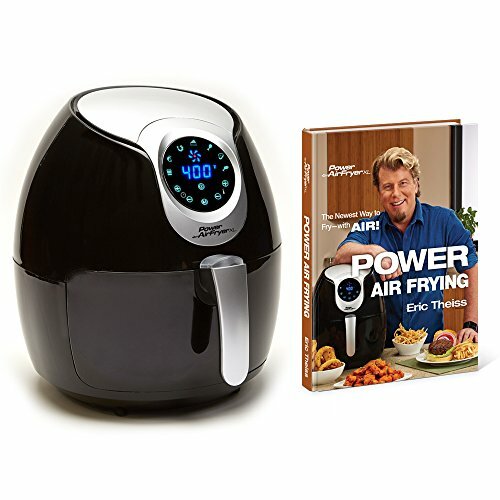 Air Fryer Cookbooks for the Air Frying Chef in You! 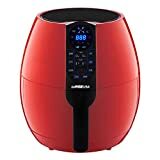 For those who are not yet familiar with it, the Air Fryer is an appliance used to cook food through the circulation of hot air at high speed. A mechanical fan aids in the circulation, which results in food with a more distinct flavor. It has a timer that’s easy to adjust, as well as a temperature control that you can use for precision cooking. Additionally, the Air Fryer is also known to save on oil consumption, which definitely sits well with a lot of consumers and homemakers. In fact, there are brands that are known to save more or less 80% of cooking oil compared to a regular deep fryer. If you plan to get an AirFryer for yourself, the first thing you need to do is learn how to use it. Your Air Fryer should be placed on a heat-resistant table or counter. It should be positioned far away or more or less five inches away from the exhaust vent. Before you put in the food to fry, make sure that the fryer has been pre-heated. Set the temperature accordingly and turn on the timer. Once it clicks, the fryer is already pre-heated. Do not pour cooking oil on the food you are cooking. The ideal thing to do is to spray the oil on the food or the fryer. This is one of the ways that help lessen oil consumption. Do not use just any kind of spray bottle, though; use the hand-pumped ones and avoid the aerosol can types. Learn the proper way of breading, which is an important element in most Air Frying recipes. Familiarizing the technique will help you cook satisfying and mouthwatering dishes. Finally, learn how to properly position food on the fryer. Do not force everything on it. If the fryer is overcrowded, it won’t cook the food evenly. Some will brown and some will not. Some will become crispy while others will be too difficult to chew. Learning the basics of air frying will help you enjoy the advantages of having a kitchen wonder like the Air Fryer and the best way for you to do that is to leaf through cookbooks that are specially written for air fryers. Most air fryers in the market come with one, but if you really want to up your game you can select one in our list that features more recipes so that you can enjoy cooking with an air fryer in more ways than one. There is sure to be one or more cookbooks in our selection that will pique your interest, so go ahead and dive in! Our Featured Air Frying Cookbooks – Learn from some of the best chefs! 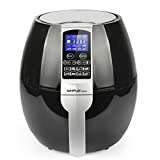 The Complete Air Fryer Cookbook: Amazingly Easy Recipes to Fry, Bake, Grill, and Roast with Your Air Fryer contains recipes you never thought could be done with a regular air fryer — from muffins to tacos, to cupcakes, and so much more. Whoever said that an air fryer is only limited to fried food? The possibilities with you air fryer are just endless with the help of The Complete Air Fryer Cookbook: Amazingly Easy Recipes to Fry, Bake, Grill, and Roast with Your Air Fryer. The Blue Jean Chef, Meredith Laurence, aims to work in the kitchen comfortable for everyone. Her cookbook, Air Fry Everything, has over 130 air fryer recipes that will make anyone comfortable with using an air fryer. With her cookbook, you can make restaurant-quality dishes with just one kitchen appliance. 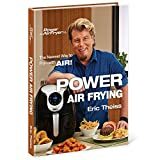 The Power Air Frying cookbook by QVC chef Eric Theiss is the perfect partner to your Power Air Fryer XL. It is packed with 119 mouth-watering recipes that will surely be a hit with your family and friends. Delicious and healthy dishes are not just made possible but so easy with Eric Theiss’ Power Air Frying and the Power Air Fryer XL. You can’t go wrong with this combination. 4.The Air Fryer Cookbook: Easy to Make Air Fryer Recipes for Every Taste! The Air Fryer Cookbook: Easy to Make Air Fryer Recipes for Every Taste! Will open your eyes to all the wonders your air fryer can do. If you’ve been thinking all this time that your air fryer can only make finger food and simple fried dishes, this cookbook will make you think again. Cooking with an air fryer for appetizers, entrees, and even desserts are made easy with the help of Air Fryer Cookbook: Easy to Make Air Fryer Recipes for Every Taste! Paula Deen is a household name when it comes to making scrumptious comfort food. 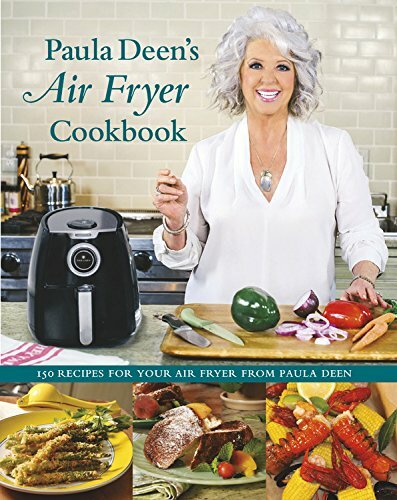 The Paula Deen’s Air Fryer Cookbook puts a healthy twist on your old favorites by using an air fryer and greatly reducing the amount of oil and butter used in all the recipes. Whether it’s onion rings, or pot roast, or crab cakes — get the same delicious taste without the guilt with the Paula Deen’s Air Fryer Cookbook. 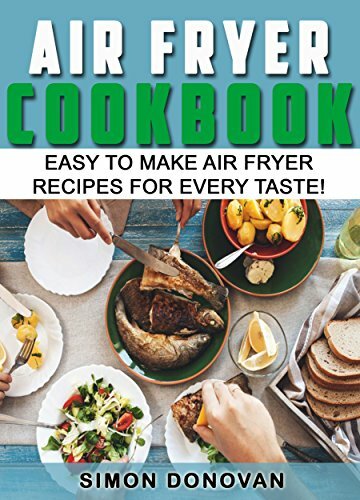 The Air Fryer Cookbook: 201 Quick and Easy Mouth Watering Recipes With Air Fryer will keep you and your air fryer busy churning out great recipes for everyone to enjoy. 201 recipes with an air fryer means that you will never run out of ideas on what to serve for breakfast, lunch, snacks, and dinner. With the Air Fryer Cookbook: 201 Quick and Easy Mouth Watering Recipes With Air Fryer, it’s almost as if you never made a switch to eating healthier. 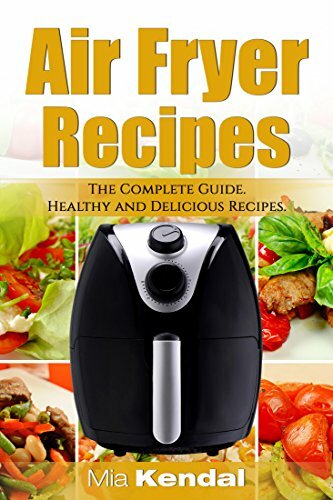 With 550 Air Fryer Recipes: Amazingly Tasty & Healthy Air Fryer Cookbook, you can try out a new recipe each day for a year and still not be able to go through the entire cookbook! It just goes to show how versatile a kitchen countertop gadget can be. 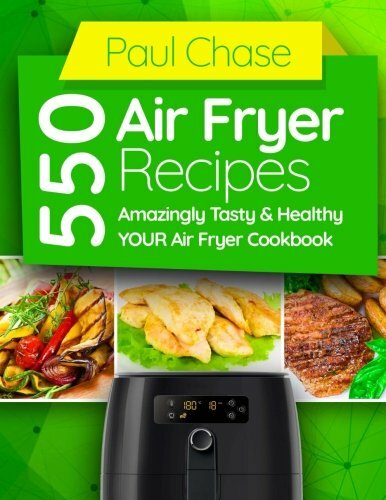 You will never run out of ideas and delicious, healthy dishes with the 550 Air Fryer Recipes: Amazingly Tasty & Healthy Air Fryer Cookbook. If you’re new to air frying, The Air Fryer Cookbook will be your best ally. It is a complete guide to air frying with 30 top healthy and delicious recipes. It will give you step by step instructions on how you can make the most of your brand new air fryer. You don’t have to be an expert chef to make tasty dishes with the Air Fryer Cookbook. The Healthy Air Fryer Cookbook by Linda Larsen has more than 100 recipes that are guaranteed heart-friendly. It’s got complete nutrition information that follows the American Heart Association guideline and has handy recipe callouts that informs you how much fat and salt you’re sparing yourself by not deep-frying your meal. 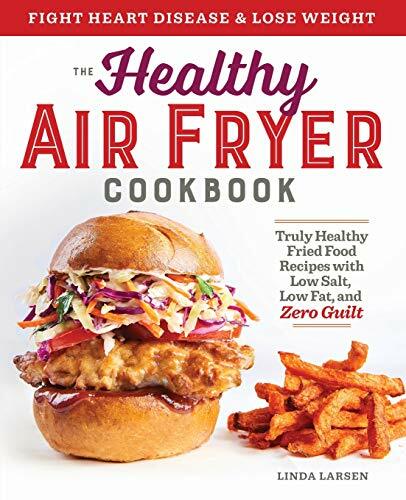 This is the only air fryer cookbook that offers truly healthy, easy, and whole-food recipes, so you can enjoy favorite fried foods while being good to your heart. The most difficult part of going on a diet is sticking to it. With the 365 Days of Air Fryer Recipes cookbook, you will not have a shortage of healthy dishes to cook and staying on the diet will prove to be so much easier than ever. 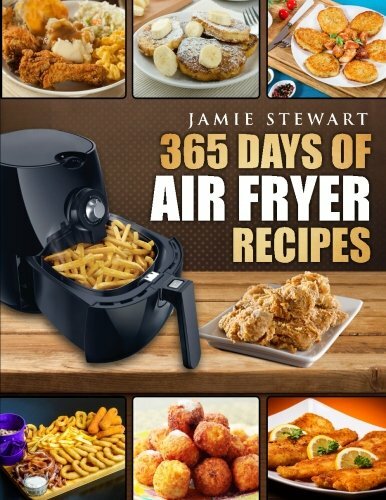 Making nutritious and delicious dishes is a breeze with 365 Days of Air Fryer Recipes cookbook. Our Featured Air Fryers: These Airfryers have the best reviews! Are you thinking of getting your family to quit junk food? 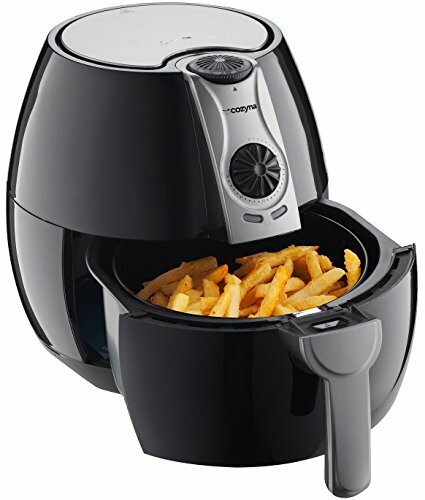 Then VonShef Air Fryer is the perfect addition to your kitchen. This nifty gadget can cook all your favorites without the harmful excess oil. You can fry, bake, grill, and roast without exerting too much time and effort in the kitchen. The VonShef Air Fryer is a convenient way to cook healthy food for you and your family. The Gourmia Electric Air Fryer has four preset buttons that let you cook with one touch. How amazing is that? People who say switching to an oil-free diet is hard, surely haven’t heard of this wonderful innovation. 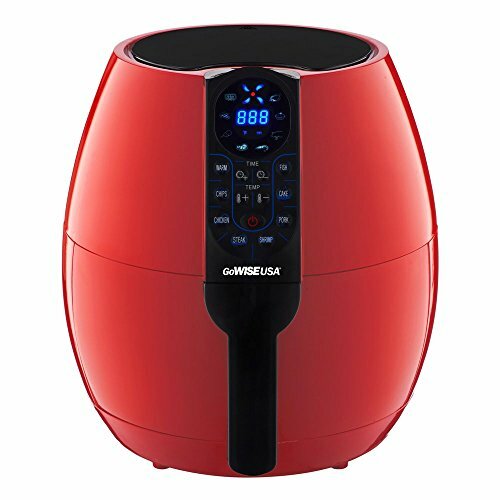 With the Gourmia Electric Air Fryer, you won’t be missing all your fried favorites even if you have already taken a healthier approach to cooking. Are your kid’s picky eaters? Do you wish you could feed them healthier food? 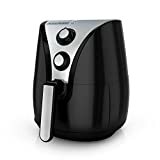 The NuWave 36001 Brio Air Fryer let you prepare chips and fries exactly the way they want it — crunchy, crispy, and tasty — with most of the nutrition intact and without the harmful trans fat that you get from the store bought ones. Now you can rest easy with NuWave 36001 Brio Air Fryer and not have to worry if your kids are getting the nutrients they need for growing up. Is cooking just not your thing but you want to save money and get healthier by not ordering out so much? The GoWISE USA GW2263 8-in-1 Electric Air Fryer is now your new best friend! It has eight programmable cooking setting that gives you great results with just a touch of a button. Fry, grill, roast, and even bake like a pro with this state of the art kitchen appliance. The GoWISE USA GW22639 8-in-1 Electric Air Fryer is one gadget that you just got to have. The Air Fryer by Cozyna can help you prevent packing up those unwanted pounds without sacrificing the taste of your all-time favorites. 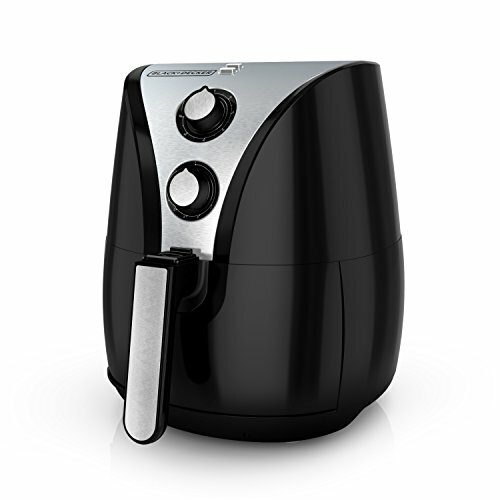 With this air fryer, you can still eat fries, onion rings, buffalo wings without soaking in all that nasty oil. Live a healthier lifestyle and get the body you have always wanted while still enjoying your favorite food with the Air Fryer by Cozyna. The Power Air Fryer XL is an air fryer with a big cooking capacity that allows you to cook for parties and gatherings. You can fry, roast, grill, and bake all your party favorites in half the time with ease. On top of that, everything is done with little or no oil. Your guests will surely be wondering how you managed to accomplish such a feat. You can indulge without the guilt with the Power Air Fryer XL. The SimpleTaste Multi-function Electric Air Fryer is specially designed for making healthy cooking so much easier. It has eight preset functions that allow you to cook practically anything with a single touch of a button. Its rapid air circulation ensures even cooking all throughout without the use of so much oil. With SimpleTaste Multi-function Electric Air Fryer, healthy eating is simple and stress-free. The BLACK+DECKER Air Fryer has dual convection fans that circulate heat around your food for producing crispy, crunchy results quickly. It is so powerful that you can cook food straight out of the freezer without defrosting. This cutting-edge technology is great for cooking your favorite comfort food without the use of artery-clogging oil. The BLACK+DECKER Air Fryer is a name you can count on when it comes to air fryers. The GoWISE USA GW22621 4th Generation Electric Air Fryer is one of the best air fryers in the market today. This latest model from GoWise has seven built-in smart programs that you can easily select with a touch screen panel. You can cook chips, meat, chicken, steak, shrimp and fish automatically with no effort at all. Who says you can’t eat healthy with a busy lifestyle? With GoWISE 4th Generation Electric Air Fryer, anything is possible.